The first 90 minutes of Thursdays hearing was nothing short of explosive with Democrats conveniently running the clock down every chance they got, interrupting others set time, calling points of order, shutting down oversight and demanding recorded votes be taken before moving forward. When House Oversight Chairman Trey Gowdy began to question Strzok, only a few minutes into the hearing, Democrats erupted in objection. The question posed to Strzok by Gowdy was in regard to the number of witnesses that Strzok interviewed the during the time he was sending shameful and clearly biased text messages to his lover, Lisa Page. Gowdy: “Well, it wasn’t the discovery of your text Mr. Strzok, it was the existence of your bias that got you kicked off. Gowdy: “Hang on a second, Agent Strzok, hang on a second–perception? You’re saying it was the perception of thirteen Democrats on the Special Council Probe, including one who went to what he hoped was a victory party. That’s a perception problem too. They weren’t kicked off, you were. Why were you kicked off?… How long did you talk to him [Mueller] when he let you go? After Strzok’s lengthy reply, the Democrats in the room did something that you don’t see often in settings such as these, they began to clap for Strzok. As if that wasn’t strange enough, what came after Strzok’s reply was even more stunning. A motion was called to subpoena Steve Bannon for his refusal to answer some of Chairman Gowdy’s questions while under subpoena--the motion was struck down and denied by Chairman Goodlatte. Strzok’s reply: “In terms of the text that ‘We will stop it’, you need to understand that was written late at night, off the cuff, and it was in response to a series of events that included then-candidate Trump insulting the immigrant family of a fallen war hero. And my presumption based on that horrible, disgusting behavior, that the American population would not elect somebody demonstrating that behavior to be President of the United States. It was in no way, unequivocally, any suggestion that me, the FBI, would take any action whatsoever to improperly impact the electoral process-for any candidate. So, I take great offense and I take great disagreement to your assertion of what that was or wasn’t. As to the 100 million to 1 that was used clearly a statement made in jest, and using hyperbole, I of course recognize that millions of Americans were likely to vote for candidate Trump. I acknowledge that it is absolutely their right, that is what makes our democracy such a vibrant process that it is. But to suggest somehow that we can parse down the words of shorthand textual conversations like they’re some kind of a contract for a car, is simply not consistent with my or most people’s use of text messaging. I can assure you, Mr. Chairman, at no time, in any of these texts did those personal beliefs ever enter into the realm of any action I took. Furthermore, this isn’t just me sitting here telling you-you don’t have to take my word for it. At every step, at every investigative decision, there were multiple layers of people above me. The assistant director, executive assistant director, deputy director and director of the FBI and multiple layers of people below me, section chiefs, supervisors, unit chiefs, case agents and analysts. All of whom were involved in all of these decisions. They would not tolerate any improper behavior in me any more than I would have tolerated in them. That is who we are as the FBI and the suggestion that I, in some dark chamber somewhere in the FBI, would somehow cast aside all of these procedures, all of these safeguards, and somehow be able to do this is astounding to me. It simply couldn’t happen and the proposition that that is going on, that it might occur anywhere in the FBI deeply corrodes what the FBI is in American society, the effectiveness of their mission and it is deeply destructive. When Goodlatte called for a verbal vote to be tallied, the Democrats would have none of it and demanded a recorded vote be taken, so the clerk began to call the roll and recorded each member’s vote. “…F ‘ing Trump, stopping Trump and impeaching Trump-on official FBI phones, on official FBI time. Other than that, you never crossed that line. I’m sure there are 13,000 FBI agents out there that are beaming with pride at how clearly you’ve drawn that line. Agent Strzok are you starting to understand why some folks out there don’t believe a word you say, and why it is especially troubling that you, of all people are at the center of the three highest profile investigations in recent time that involve President Trump and that you were in charge of an investigation investigating, gathering evidence against Donald Trump-a subject that you hated, that you wanted to F-him, to Stop him, to impeach him. Do you see why that might call into question everything that you touched on all of those investigations? Chairman, I’m done with this witness.” Rep. Ratcliffe then walked out of the hearing, without waiting to hear Strzok’s response. A recess was then called by Chairman Goodlatte until 2 p.m.
After returning from the short break, Republican Congressman Darrell Issa from California was given the opportunity to ask Strzok about the context of the texts sent out to his mistress Lisa Page. Issa asked a shocked Strzok to read some of the texts that were sent from his government issued phone aloud for everyone to hear. -Genius move on the part of Issa. Strzok continues reading the text messages and picks back up with one sent to Page on August 8th, 2016 where Page asks Strzok, “Not ever going to become president, right? Right?” Strzok reads his now infamous response to Page out loud, “No, no he’s not. We’ll stop it.” Issa immediately asks Strzok to repeat his reply to Page, which he does. Strzok asks Chairman Goodlatte if he can answer the question, even though rhetorical, to which Goodlatte agrees. 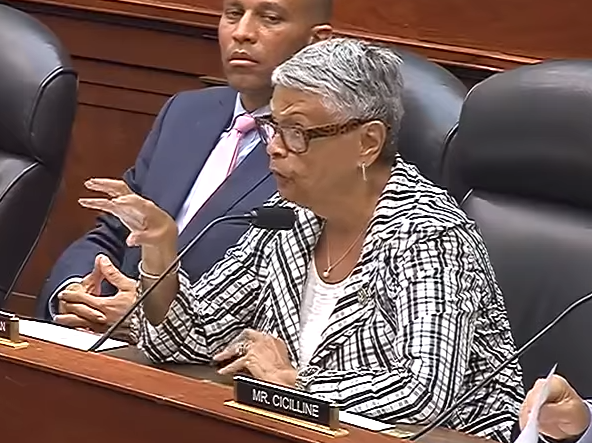 The next line of questioning came from Eleanor Norton, Democratic Congressman from Washington D.C.
Strzok replies, “Congresswoman, to be very honest, I..I didn’t anticipate that because I never thought these text would become public.”--probably one of the very few honest answers we get from Strzok the entire hearing. Norton goes on to ask about the phone that was used for the texts, “Some of them were not on your personal phone?” Strzok replies, “Correct, yes that’s correct.” Norton points out that since they were sent on his official phone that they belong to the public. When Republican Congressman from Ohio, Jim Jordan tried to get some solid answers from Strzok about the dossier, he was given the same excuse that Strzok used earlier, that he was advised not to answer the question. 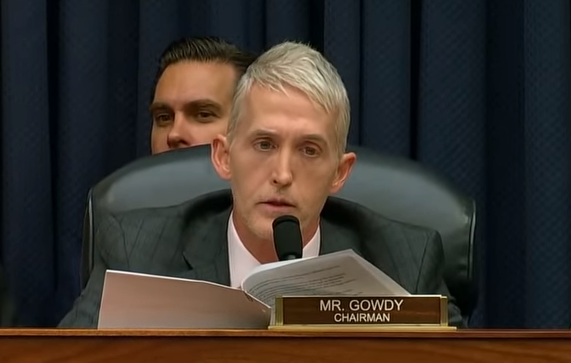 Trey Gowdy tries again to get answers to his earlier question about the dates of July 31st and August 6th of 2016, but again, Strzok said he was unable to answer the question and would have to refer back to his case file in order to give Gowdy the answer he was looking for. During this period, the Democrats interrupted three times to ask why Gowdy was being allowed to ask Strzok questions during “their time” and even asked Goodlatte if he simply made up rules as he went along. Goodlatte clarified that this was in fact, not “their time”, but that they were making time for Strzok to be able to answer a question which in the first segment of the hearing he was told he could not answer. What changed? Who knows. The answer was still the same, he would have to check his case file and report his findings. Clearly getting the attention of Gowdy, the Congresswoman from New Jersey took to attacking the president rather than asking Peter Strzok any questions. “You have nothing to do with the president of the United States disgracing this country every single solitary day when he embraces our enemies and is disrespectful to our allies.” She went on a rampage over President Trump by mentioning that it wasn’t Strzok’s fault Trump imposed higher tariffs on Canada, carved out opportunities for Ivanka’s business opportunities with China, and that Puerto Rico is still “underwater with no power.” She then gave her remaining 2 and a half minutes to Strzok, giving him the opportunity to use it however he saw fit. Strzok took that time to reiterate that he was telling the truth, and just how much he loves the FBI. Swalwell, apparently thinking that the hearing wasn’t ridiculous enough, took to pulling out several large photos, while asking Strzok equally ridiculous questions when each was held up. “Without stating whether or not that meeting happened, I did not set up a meeting,” Strzok replies. One last photo was held up, this time of Donald Trump and Swalwell asked Strzok if he’d written one of Donald Trump’s speeches. “And in the summer of 2016 were you working as a speech writer?,” asks Swalwell. The ten-hour long hearing finally came to a close promptly at 8 p.m. with Chairman Goodlatte being sure to stress his disappointment with the way the hearing had gone--not only with Strzok’s refusal to answer most questions, but also with some of the behavior that had been witnessed throughout the hearing. 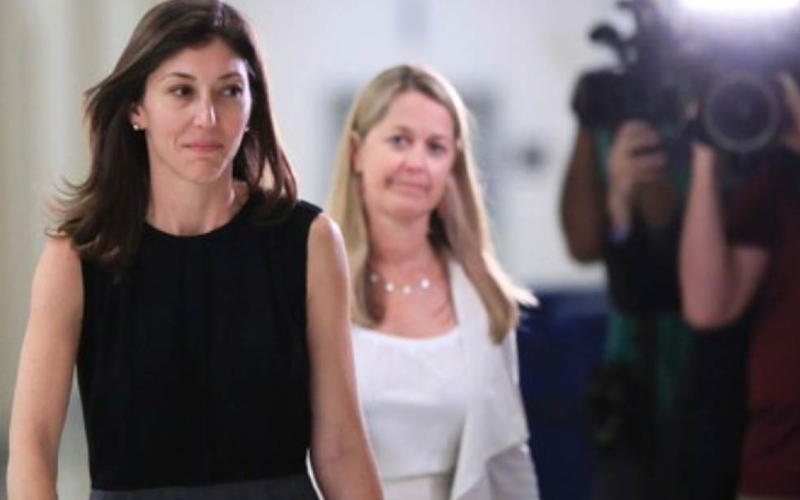 Peter Strzok’s mistress Lisa Page, after completely defying her subpoena to testify publicly to Congress (just the day before the hearing), was given one last chance to appear before Congress on Friday--one day after the hearing--after being threatened with being held in contempt if she did not show. Lisa Page, however, did appear before Congress on Friday and was rather helpful. Although lawmakers declined to give details of the testimony, the questions themselves were centered around the infamous text message exchanges between her and lover Peter Strzok. “She’s been willing to help in the spirit of transparency….We’ve certainly learned additional things today,” said Rep. Mark Meadows (R-NC). Her willingness to help with the investigation into the FBI during the Clinton email scandal “speaks well of her”, Meadows added. Congressman from Florida, Matt Gaetz questioned the bureau’s presence in Page’s private testimony on Friday. As Page left the session, she did not answer any questions posed to her by reporters. She is due Monday afternoon for yet another closed-door testimony, according to the Washington Post.